Fast here and there – the M trolley rolls away on soft rolls! And if the way may become stormy, the telescope tube can be hidden completely, the M trolley be picked up at the carrying straps and the rolls be protected by installed caps – coats and trouser will remain clean! The trolley M by reisenthel is the large, rolling bag for every day and every purpose. Both soft rolls guarantee a comfortable transport of the inside, whether travelling or shopping. The telescope-tube can be hidden completely when it is not used, even hiding behind a zip-closure, transforming the trolley M into a real bag, thanks to integrated carrying strap. Two introducible protection-caps surround the rolls when it is transported as bag, avoiding dirty clothes. 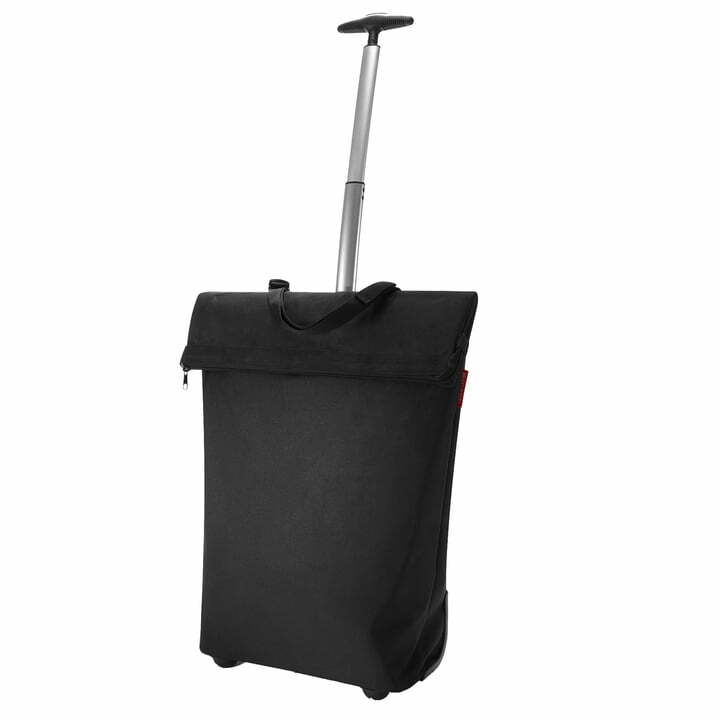 The trolley M consists of tire-resistant polyester-fabrics, but furthermore possesses a zip-closure-compartment on the back and it is available in different colours.